If you want to read about Young Kindaichi (he's called Hajime) better known for his anime adventures, see my other Kindaichi article here. 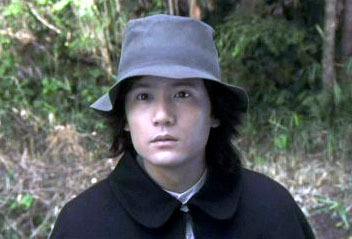 While the various screen incarnations of Young Hajime Kindaichi are based on manga, the character's grandfather began with the written word. Kousuke Kindaichi started life in the novels of Seishi Yokomizo, written and set in post-war Japan. Inspired by Arthur Conan Doyle and Agatha Christie, Kindaichi is still very much a unique character, giving the Japanese their very own literary hero-detective. He's a young man with bad dandruff and worse dress-sense (decades before Columbo), who wears a trademark, scruffy sunhat. He also happens to be better than the police at deductive reasoning. Having gained publicity for solving a high-profile murder case, the detectives allow him to work with them again. I'm guessing these books were first turned into movies almost immediately. 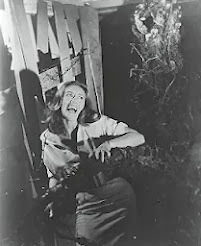 But they didn't become really popular until the 1970's, when the films and the novels became a real phenomenon. I don't know if many have been translated into english before, but the first (?) 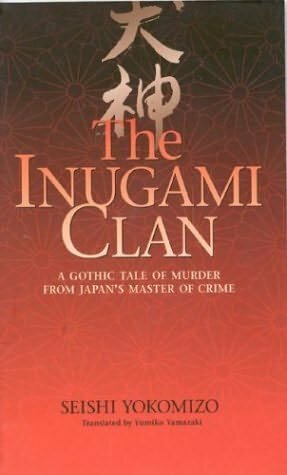 novel, The Inugami Clan, is available in English at the moment (cover shown below). There have been around 20 actors to play amateur detective Kousuke Kindaichi so far. I've listed below the films that I could find on IMDB that feature the character, and I've listed in brackets the actor playing Kindaichi in each. A successful second wave of films in the late 1970's were directed by Kon Ichikawa, starring Koji Ishizaka as Kindaichi. But as you can see below, there are some with different actors playing the role, presumably from rival film studios - it's Roger Moore versus Sean Connery all over again. Strangely, one of these rival films was also one of the most successful. It was then one of Japan's biggest budgeted productions ever, and was directed by Yoshitaro Nomura - the brilliant Village of Eight Gravestones (1977). This version was updated to contemporary Japan and starred Kiyoshi Atsumi as Kindaichi. I reviewed this epic murder mystery back in April, my review here. This currently available DVD is a rare opportunity to see a Kindaichi film with English subtitles. There will also soon be a Region 3 DVD of The Inugami Family (1976)with English subtitles, details here. 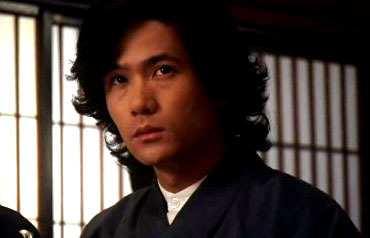 Soon after, Ikko Furuya continued to play Kindaichi in a successful run of TV dramas. These series and the movies The House of Hanging and The Adventures of Kosuke Kindaichi are currently available on DVD, but without english subtitles. 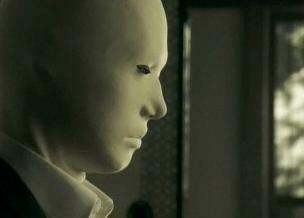 The latter film actually stars the books' original author Seishi Yokomizo. Since the latest film, there's also been a steady series of new TV adaptions of the books. No doubt there's been many other TV incarnations in the past, but these are the only ones I've found details on. The current Kindaichi is actor Goro Inagaki, who is very likeable in the role, but again, like the Young Kindaichi series, he's asked to play it a little too broadly - and even has a series of sidekicks whose acting is far less subtle. I know the subject matter is grim, but surely the comedy relief doesn't have to border on slapstick. The new series started with an extra half-hour episode describing Kindaichi's back story and his first ever case, in New York! Then it moves onto yet another adaption of The Inugami Clan! 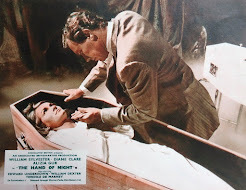 It's a similar set-up to Village of Eight Gravestones featuring a serial murder within a big family, the action taking place on their huge estate. The mystery is complicated by identity of a soldier whose burns are so severe that he has to wear a white skintight mask over his head. 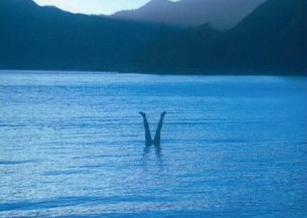 One of the victims is found floating in the nearby lake, with it's legs sticking out of the water in a V-shape - an unusual scene, this has become a recurrent, iconic image of all the filmed adaptions. Unlike the 1977 film, this is faithfully set back in the 1940's. The storyline is a little different, with less time spent in the underground labyrinthine caves. But the action is just as bloody, and the samurai flashbacks are dramatic and well staged. Tatsuya Fujiwara (below), the star of Battle Royale and Death Note heads the cast. 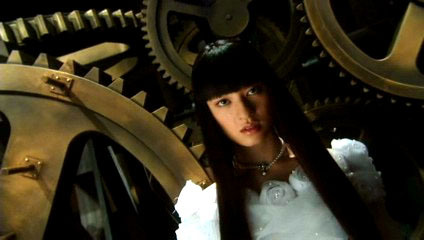 This story is slimmer than the twisty plots of Inugami and Village, but is graced by the presence of Chiaki Kuriyama (Battle Royale, Kill Bill Vol. 1, The Great Yokai War) in the title role. She looks splendid as a young heiress turned serial killer, committing a string of bludgeoning murders that culminate inside a huge clock tower. Chiaki carries the show in a variety of traditional outfits, and it's one of her biggest roles yet. This feature-length TV movie is out on a Malaysian DVD with (quite poor) english subtitles, see here for details. 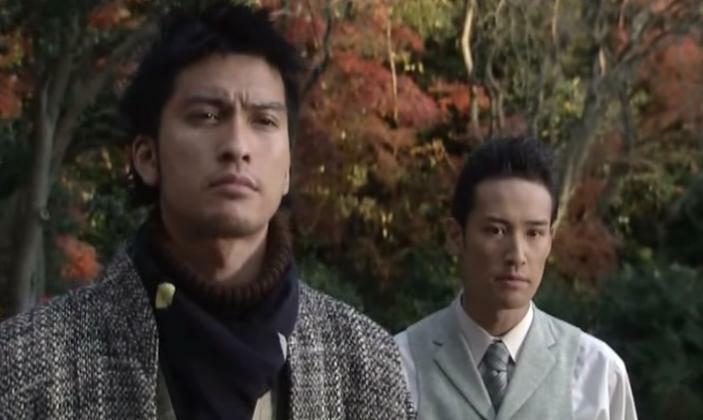 In contrast to the period setting of the current series, this was a feature-length special on TV Asahi, which pits two detectives against each other - well, it's more of a team-up really. Our man Kindaichi is still dressed in his shabby sandals. He stumbles upon a series of executive suicides, as does the dapper Kogoro Akechi - an expert profiler from the pages the novels by Edogawa Rampo (whose many horror novels have also been turned into films, such as the excellent Gemini and the recent Rampo Jigoku ). The hook is to have two famous fictional detectives onscreen together, the twist is that they're in modern day Japan. So we swap the usual gothic for a high-tech sheen, the latest cars, skyscrapers and even a helicopter. This all makes the production look even more lavish than a lot of modern Japanese cinema. Indeed, movie star Masahiro Matsuoka (the lead in Godzilla Final Wars) plays Akechi, and pop star Tomoya Nagase (psychic Ryuichi in TV's Ring: The Final Chapter) plays Kindaichi. 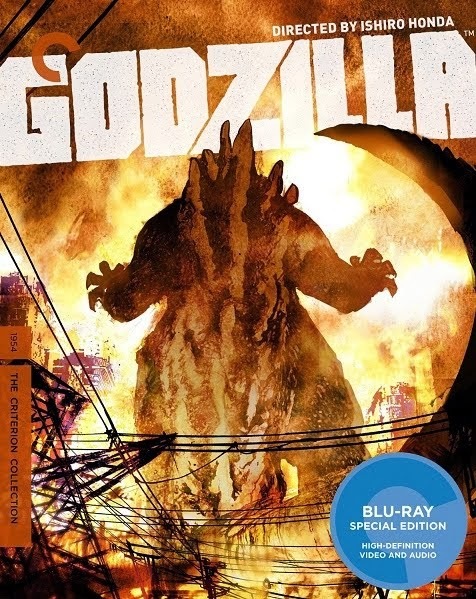 It's a lush, occasionally bloody murder mystery, shot mostly on location around Japan over the winter months. The accent is on action rather than detection. It's out on DVD in widescreen, with dodgy english subtitles in Malaysia. It's also on VCD under the title Private Detective Agency. Actually, VILLAGE OF 8 GRAVESTONES (Yatsu Haka Mura) is available on DVD in Japan, with the proper 2.35:1 aspect ratio and 5.1 soundtrack. Of course, it does not have English subtitles but is otherwise a superior version to the HK release. Of the Ichikawa Kon Kindaichi movies, all are also available on DVD from Japan although, strangely, THE INUGAMI CLAN/FAMILY is from a separate release and not part of a boxed set that came out in late 2003. All are in 4:3 (not letterboxed), supposedly, according to the insert, that's the way Ichikawa Kon shot them and when they were projected theatrically, they were done at 1.5:1. Interestingly, the previews for JOBACHI are in 2:35:1 and are missing a huge chunk of the top and bottom of the image, so I suppose this is correct. i intrested woth your post about kindaichi. fyi, i bought some of dvds you mentioned. but i really want to watch the 70s 80s movies. do you have any link( torrent) or any store you know selling those dvds?